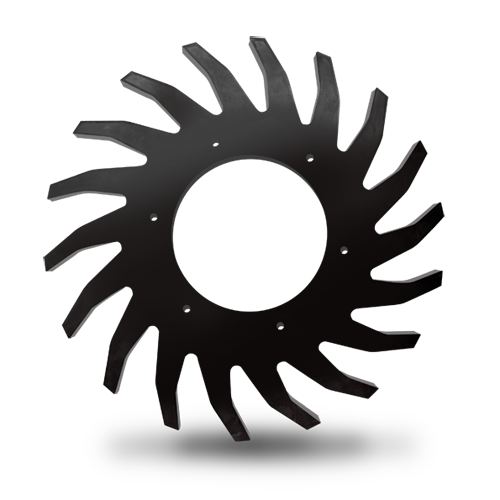 Description: 24" Diameter Gathering Wheel punched for Vermeer bolt pattern. The AG Belt™ Gathering Wheel uses a proprietary recipe of natural rubber and SBR that is integrally molded to produce the most durable, high performance rubber gathering wheel available. The rubber fingers on the AG Belt gathering wheels are extremely durable providing optimal performance longer by resisting finger breakage under extreme conditions. This means they deliver more hay and better built hay bales over their lifespan. Gathering wheels ensure better windrow management when baling and facilitate balanced material spread within the baling chamber.